Google for Apple in recent weeks, the people said. They report to Greg Duffy, co-founder of camera maker Dropcam, who joined Apple earlier this year, the people said. They asked not to be identified talking about Apple’s private plans. An Apple spokeswoman declined to comment, as did Google. Fenwick, Trela and Duffy didn’t respond to requests for comment. With the recruits, Apple is bringing into its ranks two experts in the demanding, expensive field of satellite design and operation. At the moment, these endeavors typically fall into two fields: satellites for collecting images and those for communications.In a regulatory filing last year, Boeing Co. detailed a plan to provide broadband access through more than 1,000 satellites in low-earth orbit. 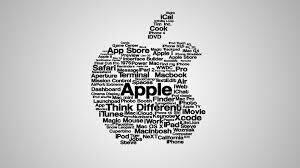 The aerospace company has talked with Apple about the technology company being an investor-partner in the project, a person familiar with the situation said. It’s unclear if those talks will result in a deal. At the annual Satellite 2017 conference in Washington DC last month, industry insiders said Boeing’s project was being funded by Apple, Tim Farrar, a satellite and telecom consultant at TMF Associates Inc., wrote in a recent blog. A Boeing spokesman declined to comment. “It’s not hard to discern why Apple might want to consider a satellite constellation,” Farrar wrote, noting a Wall Street Journal report that Elon Musk’s Space Exploration Technologies Corp. has forecast $30 billion in revenue from satellite internet by 2025.